You Sign Up for the FastingOlogy™ program ONCE, and continue to receive weekly step-by-step instructions automatically by e-mail that will teach you how to fast, how to break the fast, how to stay motivated, how to deal with the mind, fasting & detox symptoms, and how to make a PERMANENT transformation in your lifestyle to KEEP IT OFF. The adoption of both intermittent (once weekly or bi-weekly) and longer-term water and juice fasting (from 7 to 30 days ) in combination with a gradual transformation of eating habits and thinking/emotional patterns over a nine-month period. The purpose of this simple program is to help you achieve weight loss & detoxification which can be sustained for a lifetime - ONE DAY AT A TIME. 1. Receive and download weekly lessons in .PDF format. One 5-10 Page Weekly Lesson for 9 MONTHS in Downloadable .PDF Format. The price for a subscription to the FastingOlogy™ program is just $23 per month. While the program is 9 months in length, you can cancel anytime you choose. However, for your peace of mind, know that a refund is available anytime for the next 30 Days by simply emailing me or Paypal if you are dissatisfied for any reason. Your initial charge will be $23.00. You will then be charged $23/month for 8 months after your initial charge has been made. 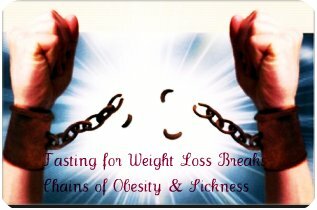 You will receive an email every week with a download link for your weekly fasting weight loss .PDF lesson. If you still are unsure about joining, you can also visit our Question & Answers page.